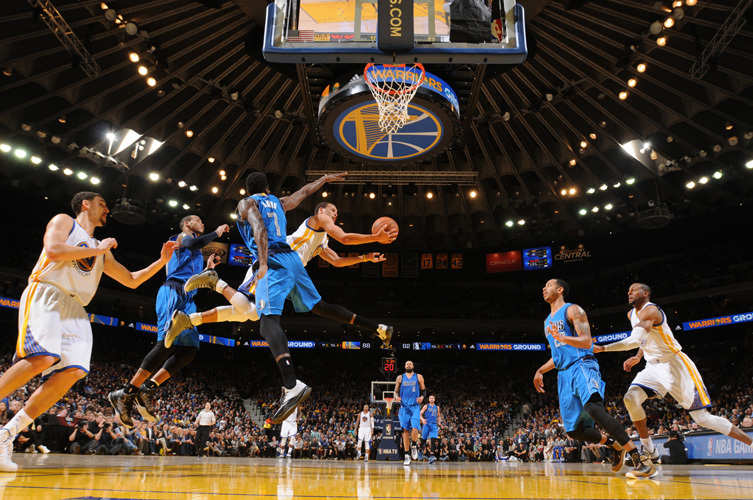 Steph Curry can also fly, apparently. Warriors add another sculpture to their Tedium Through Excellence exhibit. This is a whole different world from what Warriors fans are used to, and while we’ve had a couple years to get used to the team not sucking anymore, my little monkey brain has not quite caught up to where things are now. In the days before the All-Star game I would see promos prominently featuring players in the familiar blue and gold and it would take me by surprise, even though Steph Curry was #1 in the overall voting, beating out even LeBron James. They say that even a stopped clock gives the correct time twice a day. So if you collected 720 broken clocks and set them all differently, you would have the right time all the time.